State-to-state arbitration provisions in bilateral investment treaties and other international investment agreements (collectively called BITs here) have been little used—and rightly so—given the introduction of investor-state arbitration provisions in the same BITs. In a handful of cases, however, some states have sought to resurrect state-to-state arbitration, either to contest issues already decided in separate investorstate arbitral proceedings, or else to stave off such proceedings. Most recently and controversially, in Ecuador v. U.S., Ecuador initiated arbitration against the United States under the U.S.-Ecuador BIT to (re)arbitrate an issue that had arguably been determined against Ecuador in a separate prior arbitration between Ecuador and certain U.S. investors. This subversion of state-to-state arbitration and its attack on the finality of arbitral awards threaten to destabilize the investor-state arbitration regime, which undergirds much of foreign direct investment. 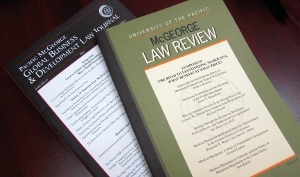 With a fresh focus on the relationship between the two arbitral systems, this paper’s systematic analysis of the cases reveals the interaction of state-to-state and investor-state arbitration to be a far more complex and ultimately disorderly affair than was ever contemplated by the respective state parties to the various BITs, or even appreciated in the literature. As it turns out, whether state-to-state arbitration is permissible, or at least not proscribed, when investor-state arbitration is available to resolve the same issue turns awkwardly on a number of illfitting factors, including whether the actor initiating state-to-state arbitration is the host state or home state, and whether the investor has consented to investor-state arbitration. Much of the blame for this incongruous state of affairs can be pinned on the unfortunately drafted Article 27(1) of the ICSID Convention. This paper argues for a reconception of the relationship between the two arbitral regimes that accords better with their historical narrative and purpose, as well as that of the ICSID Convention. The more coherent approach here is to treat the two arbitral regimes as mutually exclusive, and disallow state-to-state arbitration of any issue that may properly be resolved by investor-state arbitration. In this way, duplicative arbitral proceedings and the potential for conflicting awards are averted, and the investment dispute is safely insulated from the vagaries and astrictions of politics and so-called diplomacy.